July 08, 2016, 1:36 p.m.
A new YouGov EuroTrack survey reveals Europeans reject the idea that the United Kingdom should be granted a generous deal in post-Brexit negotiations. The study – which polled voters in six current European Union member states including Britain, France and Germany – also shows few outside of the UK would support a free trade deal that doesn’t preserve freedom of movement. 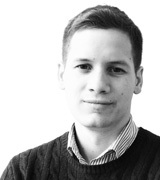 This installment of the YouGov EuroTrack survey is the first since the United Kingdom voted 52% to 48% in favour of leaving the European Union on June 23rd. The outcome stunned financial and currency markets, leading to a collapse in British consumer sentiment. In this survey, expectations that the British economy will get worse over the next 12 months have jumped by 21 points to 57% between May and June, post-Brexit. Positive expectations have been cut in half, from 20% to 11%. However, there is little perceived risk of a European “contagion” on the Continent: there has been little change in economic confidence elsewhere in Europe. 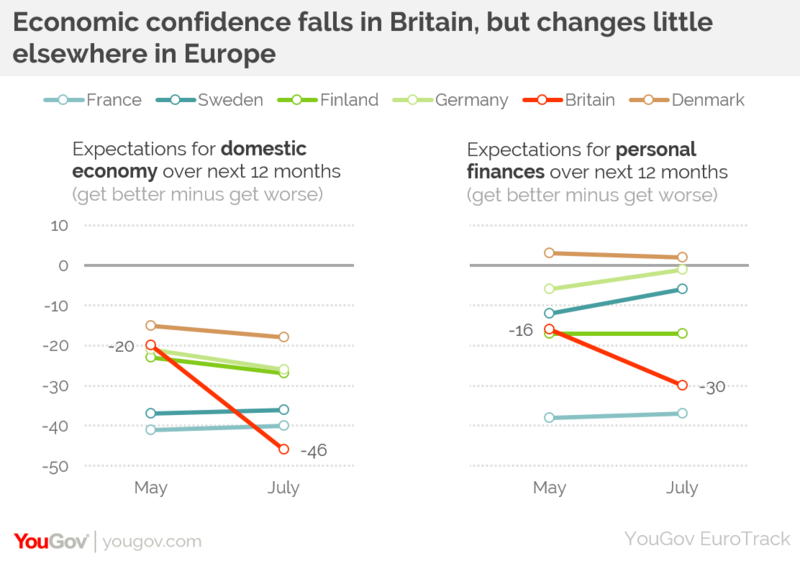 Britain is now the most pessimistic of the six EU nations polled; they were the second-most optimistic in May. More worrisome for Britain, the rest of Europe is not evidently feeling very charitable. In four out of five EU countries polled, voters are more likely to say the EU should do Britain “no favours” in negotiating a post-Brexit trade deal, spurning the idea of a “generous deal” that pays tribute to Britain’s role as a neighbour and “important trading partner”. 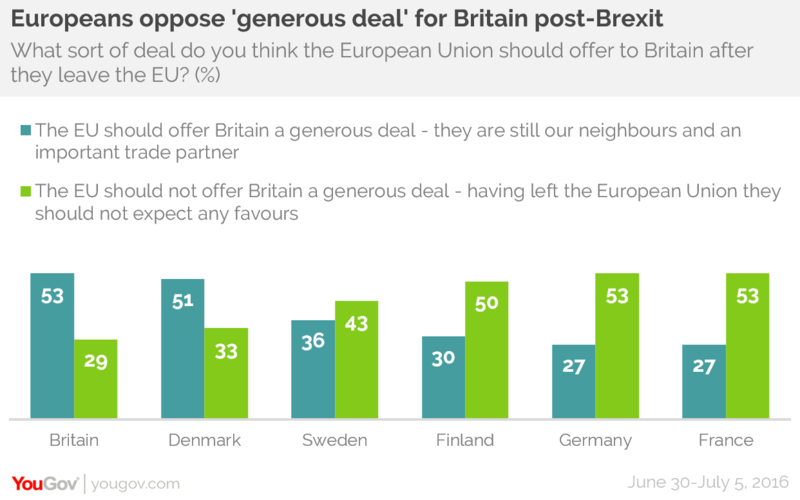 53% of British adults expect a generous deal, but the only other EU nation in favour is Denmark; European heavy-hitters France and Germany opt for the iron-fisted approach by identical margins of 53% to 27%. 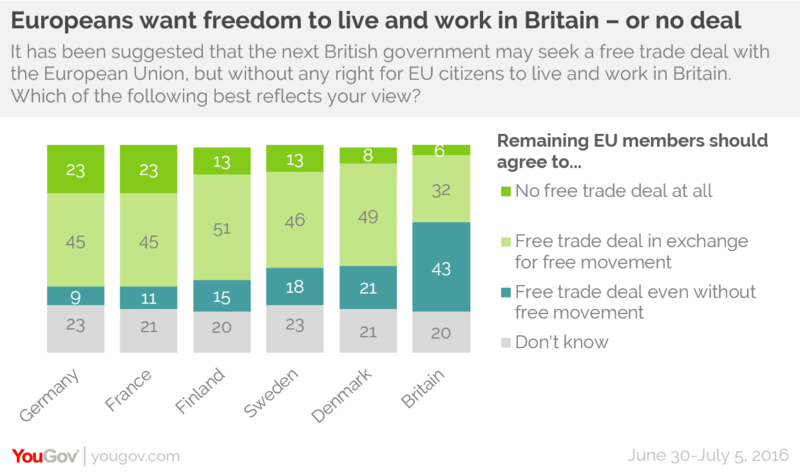 Asked specifically about future trading terms, nearly a quarter of adults in France and Germany say the EU should not offer Britain a free trade deal at all, and nearly half would only support a free trade deal with Britain in exchange for them allowing EU citizens to live and work there – the “free movement of labour” many pro-Brexit voters likely felt they had rejected in June’s referendum. 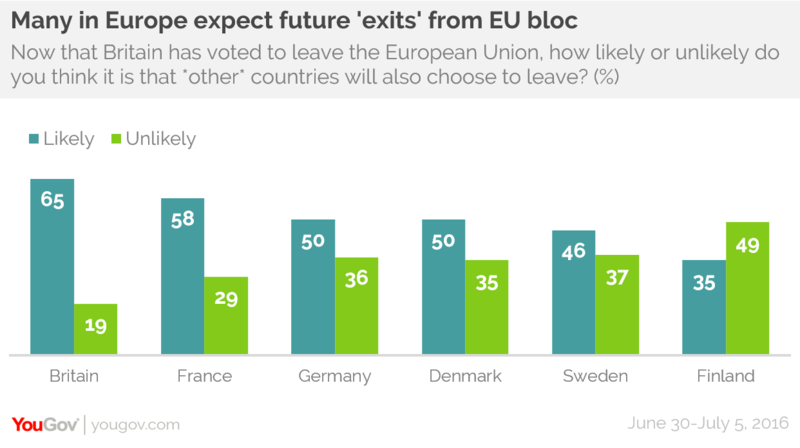 Europeans do tend to believe it is bad for the EU that Britain is making its exit (one notable exception is France, where only 28% see Brexit as bad for the Union). They also tend to believe other countries will choose to hold referendums and even leave now that Britain has left. In the short term, however, they are not especially worried for the European project, at least compared to before the Brexit vote. YouGov asks voters in every country whether they would stay or leave if faced with a referendum of their own. Nowhere did support for leaving increase more than support for staying. The "stay" lead ranges from 11 points in France to 34 points in Germany (in Britain, it was a 40-40 tie in May and a 45-45 tie in the latest poll). Additionally, in every EU member state polled, optimism about the European Union has either increased or stayed about the same compared to where it was in April this year. 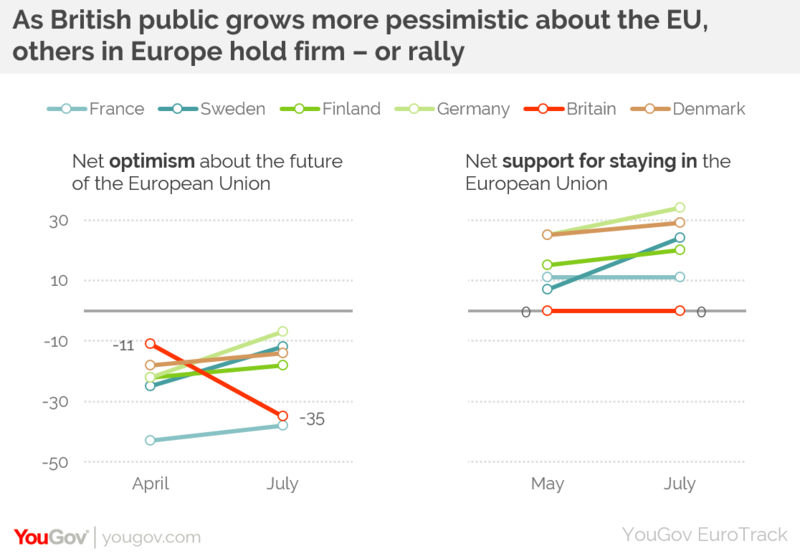 Only in Britain is pessimism on the rise. Even so, pessimism continues to outweigh optimism across the European publics surveyed, and economic confidence is below where it was a year ago. The UK government has yet to decide what relationship exactly they would like to pursue with the remaining countries in the European Union – or who will be in charge of negotiations – and continued uncertainty could still have a negative impact on feelings about the bloc’s future.